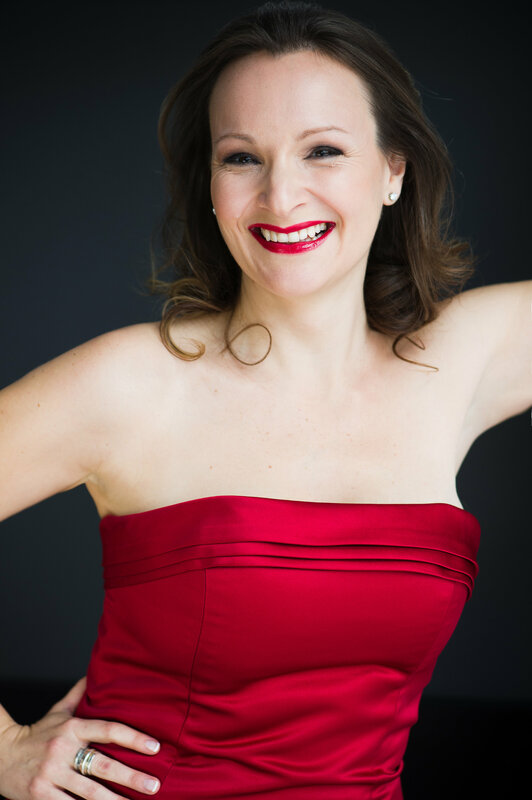 Praised for her charming stage presence and vibrant vocal timbre, soprano Gillian Grossman has earned success both at home and abroad. This season she will make her debut with the Georgian Bay Concert Choir as the soprano soloist in Mendelssohn’s Elijah. On the concert stage, Gillian was most recently featured as the soprano soloist in Fauré’s Requiem with Masterworks of Oakville, under the baton of Charles Demuynck. She has appeared as the guest soloist with the Bluebridge Festival, Ardeleana, Aradia Ensemble, Etobicoke Centennial Choir, Arcady, the Boris Brott Festival, and La Chorale Cantabile. The upcoming season will also see Gillian play the role of Gretel in the premier of Shoetring Opera’s latest touring production, Hansel and Gretel. A longtime member of the company, Gillian continues to perform in Shoestring’s productions of A Schoolyard Carmen, and Shoestring Magic Flute throughout the GTA. Other premiers include Kamouraska with Opera in Concert, in which she created the role of Aunt Angelique for both the workshop and performance. Gillian was equally honoured to take part in both the workshop and eventual performances of R. Murray Schafer’s The Children’s Crusade, in conjunction with Soundstreams and the Luminato Festival. Most recently, Gillian performed the role of one of the angels in the Veretski Pass opera, Lilith, The Night Demon as part of its Canadian premier at the Toronto Ashkenaz Festival. Favourite operatic roles include Giulietta, Gretel, Almirena, Laetitia, Despina, Pamina, and Johanna. Upon completing her studies, Gillian made her European operatic debut as a member of the Theaterchor for the Staatstheater in Sankt Gallen, Switzerland. While a member of the Chor, she was featured in a number of solo roles including Erste Mädchen (Der Zwerg), La chauve-souris (L’enfant et les sortilèges), and Barbarina (Le nozze di Figaro). Other highlights during this period include her portrayal of the title character in Frid’s one-woman opera, Das Tagebuch der Anne Frank as part of the “Triangel” Internationale Kinder- und Jugentheaterfestival. A graduate of McGill University, Gillian holds both Bachelor and Master’s Degrees in Vocal Performance. While at McGill, she was the recipient of both the Martha Schiller and Margaret Kalil Awards and performed such roles as Emmie (Albert Herring), Ida (Die Fledermaus), and Fiordiligi (Cosí fan tutte). A native of Mississauga, Gillian currently lives in Oakville with her husband and two children and is a student of Tom Shilling.